HOW THE EU’S TOUGH DATA LAWS WILL IMPACT THE US HEALTH INDUSTRY: Health companies the world over are preparing for the EU’s General Data Protection Regulation (GDPR), which goes into effect on May 25, 2018. The regulations aim to give individuals greater protection and control over their digital information and will impact not only EU member states, but any business that collects EU citizens’ data. Improved personal digital security: Companies will be required to appoint a data protection officer to ensure internal compliance with the regulations if they process sensitive data at scale. They will also be obligated to inform national authorities and customers of data breaches within 72 hours. That’s a significant change to current US laws, which give businesses 60 days to report breaches. More transparency around how patient data will be used:Companies must disclose more precisely how they’re using customers’ data. This means that permissions can’t be bundled together – patients consent to each permission independently. Greater control over what data can be collected:Companies will also be beholden to Europe’s “right to be forgotten ruling” – a concept that’s been practiced in the EU since 2006 requiring data collectors remove data that’s “inaccurate, inadequate, irrelevant or no longer relevant.”. For US companies that operate in the EU, these added regulations could negatively impact telehealth solutions and health cloud offerings, and add another hurdle for clinical research and the development of precision medicine. That’s because these initiatives all require the storage and use of personal health data, including electronic health records (EHR), lab results, and data from wearables and genome tests. The regulations could improve health data interoperability. Companies are required to create tools that enable “data portability” so individuals can move their information more easily from one service provider to another. This will force health systems to make technology updates that will make interoperability possible and that will allow for a fuller picture of patients’ health history. It could help US healthcare organisations to build consumer trust. 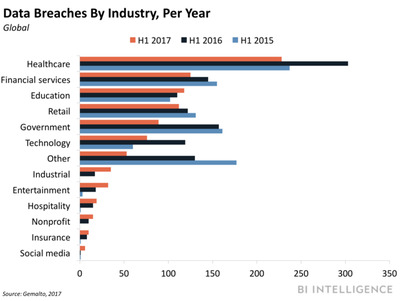 The regulation’s privacy-forward policies could help to reverse the negative effects caused by the sheer volume of health data breaches – in March alone, there were120,000 health data breaches. For example, Apple plans to overhaulits privacy policies ahead of the GDPR rollout to give users’ more control over their personal data. Apple’s plan includes enabling users to download a copy of their stored data, correct personal information, temporarily deactivate their device, and delete their data. Lastly, it could spur the adoption of alternative modes of data management, such as blockchain.The distributed ledger technology is gaining significant attention because of its ability to act as a single source of trusted information -DLTs distribute information securely between a network of participants, thereby cutting out middlemen, improving transaction times, and greatly reducing redundancy and costs. A group of leading healthcare organisations, including Humana and UnitedHealthcare, have joined forces to testhow blockchain technology can improve data quality and reduce admin costs associated with retrieving EHR. Omada Health’s clinical trial tracking the effectiveness of digital diabetes prevention. Evidation Health is exploring ways to develop better digital biomarkers that measure chronic pain severity. Merck, the National Sleep Foundation, and the Regenstrief Institute are investigating whether sleep data from Fitbits should be used as a vital sign in primary care settings. ASCENSION HEALTH PLANS GREATER EMPHASIS ON VIRTUAL CARE: US health system Ascension Health intends to sell St. Vincent’s Medical Center in Connecticut to Hartford HealthCare as it shifts away from hospitals and towards digital health initiatives, according to Healthcare Dive. The 151-hospital healthcare system plans to focus on outpatient access and telemedicine as a part of its strategy to save $US57 million annually. Ascension has struggled to maintain its top line amid the rapidly changing healthcare environment, which has seen dwindling reimbursement from the government and payers, increasing regulatory hurdles, growing pharmaceutical costs, and a muddled shift from fee-for-service to value-based care, according to an internal video from the CEO, Anthony Tersigni. The company’s annual operating income fell 27% year-over-year in 2017, despite growing revenue. 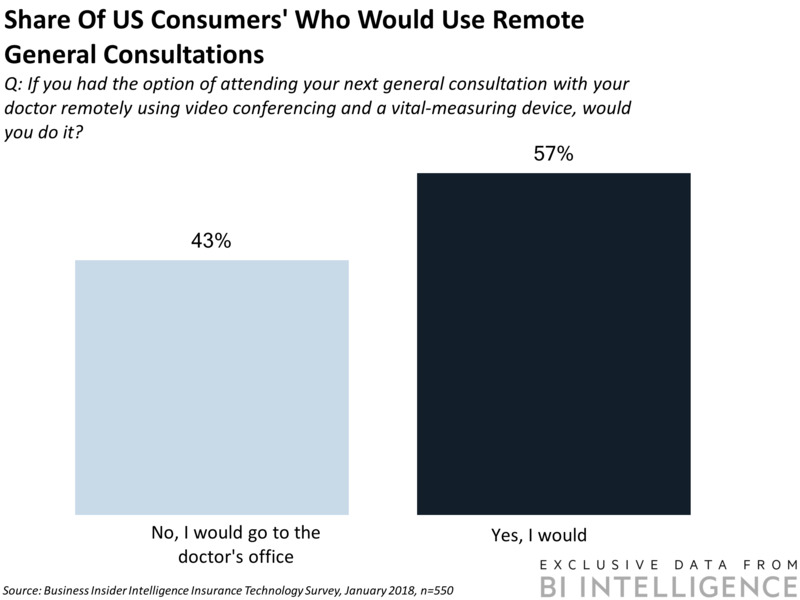 The health system likely hopes that a pivot to supporting more virtual health solutions will help to streamline its operations and expand the number of access points it has for its customers. Similarly, the move will lay the groundwork to support changes in how patients access care – 57% of US consumers would use more convenient methods of connecting with their physicians and caregivers, such as telehealth, according to the 2018 Business Insider Intelligence Insurtech Survey. Ascension’s efforts could set it up well to benefit from this growing trend. GE SELLS CHUNK OF HEALTHCARE BUSINESS TO VERITAS: GE Healthcare is selling its value-based care division to Veritas Capital for just over $US1 billion, according to a joint announcement from the companies. This includes the Enterprise Financial Management, Ambulatory Care Management, and Workforce Management assets, all of which focus on hospital workflow and administrative IT functions. The deal, which is set to close during Q3 2018, is a part of GE CEO John Flannery’s plans to slim down the company’s offerings and sharpen its focus on software-related clinical care. 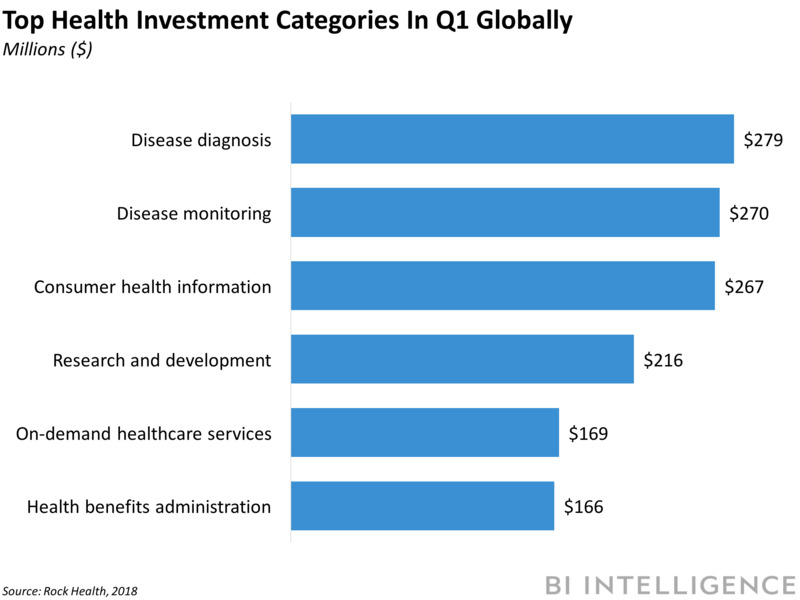 GE Healthcare CEO Kieran Murphy says the company will continue developing and investing in core digital solutions that support precision medicine, such as AI, enterprise imaging, and smart diagnostics. Meanwhile, for Veritas, the deal is just the latest in a string of health IT investments, which have heavily focused on consumer-focused technology. The company aims to turn the value-based care division into a standalone business, which it believes will be well-positioned to secure a significant portion of the $US9 billion healthcare market that’s in “urgent need of digitization,” according to Veritas CEO Ramzi Musallam. Zipnosis, the telemedicine service, will soon be offered to the 129,000 members of the American Academy of Family Physicians, according to POLITICO. This will be the first time Zipnosis is entering the family practice market, after initially focusing on larger healthcare networks. Walmart is considering buying medication delivery startup PillPack for less than $US1 billion, according to CNBC. PillPack aims to make it easier for customers to order and receive medication by packaging pills together and delivering them. The acquisition would be a strategically important move for Walmart as it contends to strengthen its retail business against rivals like CVS. Motiv’sfitness-tracking ring now supports Amazon’s Alexa and some Android smartphones, accordingto Engadget. Users will be able to ask Alexa about their heart and sync their data. Android phones that are now compatible with the wearable include one of the Google Pixels, the Samsung Galaxy S7 and later, and the Galaxy Note 5.